Home » Blogs » brad's blog » Electrify Caltrain? Or could robocars do it for less than 1.5 billion? 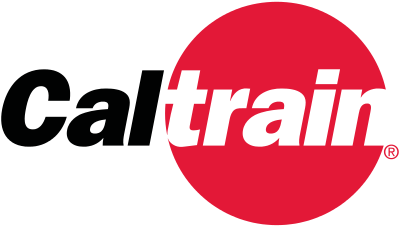 Caltrain is the commuter rail line of the San Francisco peninsula. It's not particularly good, and California is the land of the car commuter, but a plan was underway to convert it from diesel to electric. This made news this week as the California Republican house members announced they want to put a stop to both this project, and the much larger California High Speed Rail that hopes to open in 2030. For various reasons they may be right about the high speed rail but stop the electric trains? Electric trains are much better than diesel; they are cleaner and faster and quieter. But one number stands out in the plan. To electrify the 51 miles of track, and do some other related improvements is forecast to cost over 1.5 billion dollars. Around $30M per mile. So I started to ask, what other technology could we buy with $1.5 billion plus a private right-of-way through the most populated areas of silicon valley and the peninsula? Caltrain carries about 60,000 passengers/weekday (30,000 each way.) That's about $50,000 per rider. In particular, what about a robotic transit line, using self-driving cars, vans and buses? Paving over the tracks is relatively inexpensive. In fact, if we didn't have buses, you could get by with fairly meager pavement since no heavy vehicles would travel the line. You could leave the rails intact in the pavement, though that makes the paving job harder. You want pavement because you want stations to become "offline" -- vehicles depart the main route when they stop so that express vehicles can pass them by. That's possible with rail, but in spite of the virtues of rail, there are other reasons to go to tires. Fortunately, due to the addition of express trains many years ago, some stations already are 4 tracks wide, making it easy to convert stations to an express route with space by the side for vehicles to stop and let passengers on/off. Many other stations have parking lots or other land next to them allowing reasonably easy conversion. A few stations would present some issues. Making robocars for a dedicated track is easy; we could have built that decades ago. In fact, with their much shorter stopping distance they could be safer than trains on rails. Perhaps we had to wait to today to convince people that one could get the same safety off of rails. Another thing that only arrived recently was the presence of smartphones in the hands of almost all the passengers, and low cost computing to make kiosks for the rest. That's because the key to a robotic transit line would be coordination on the desires of passengers. A robotic transit line would know just who was going from station A to station J, and attempt to allocate a vehicle just for them. This vehicle would stop only at those two stations, providing a nonstop trip for most passengers. The lack of stops is also more energy efficient, but the real win is that it's more pleasant and faster. With private ROW, it can easily beat a private car on the highways, especially at rush hour. Another big energy win is sizing the vehicles to the load. If there are only 8 passengers going from B to K, then a van is the right choice, not a bus. This is particularly true off-peak, where vast amounts of energy are wasted moving big trains with just a few people. Caltrain's last train to San Francisco never has more than 100 people on it. Smaller vehicles also allow for more frequent service in an efficient manner, and late night service as well -- except freight uses these particular rails at night. (Most commuter trains shut down well before midnight.) Knowing you can get back is a big factor in whether you take a transit line at night. An over-done service with a 40 passenger bus every 2 seconds would move 72,000 people (but really 30,000) in one hour in one direction to Caltrain's 30,000 in a day. So of course we would not build that, and there would only be a few buses, mainly for rush hour. Even a fleet of just 4,000 9 passenger minvans (3 rows of 3) could move around 16,000 per hour (but really 8,000) in each direction. Even if each van was $50,000 each, we've spent only $200M of our $1.5B, though they might wear out too fast at that price, so we could bump the price and give them a much longer lifetime. These vans and cars could be electric. This could be done entirely with batteries and a very impressive battery swap system, or you could have short sections of track which are electrified -- with overhead rails or even third rails. The electric lines would be used to recharge batteries and supercapacitors, and would only be present on parts of the track. Unlike old 3rd rail technology, which requires full grade separation, there are new techniques to build safe 3rd rails that only provide current in a track segment after getting a positive digital signal from the vehicle. This is much cheaper than overhead wires. Inductive charging is also possible but makes pavement construction and maintenance much more expensive. Other alternatives would be things like natural gas (which is cheap and much cleaner than liquid fuels, though still emits CO2) because it can be refilled quickly. Or hydrogen fuel cell vehicles could work here -- hydrogen can be refilled quickly and can be zero emissions. Regular fossil fuel is also an option for peak times. For example the rush hour buses might make more sense running on CNG or even gasoline. The lack of starts and stops can make this pretty efficient. In such a system, you can also add new "stations" anywhere the ROW is wide enough for a side-lane and a small platform. You don't need the 100m long platform able to hold a big train, just some pavement big enough to load a van. You can add a new station for extremely low cost. Of course, with more stations, it's harder to group people for nonstop trips, and more people would need to take two-hop trips -- a small van or car that takes them from a mini-station to a major station, where they join a larger group heading to their true destination. Of course, if you were designing this from scratch, you would make the ROW with a shoulder everywhere that allowed vehicles to pull off the main track at any point to pick up a passenger and there would barely be "stations" -- they would be closer to bus stops. Caltrain's station in San Francisco is quite far from most of the destinations people want to go to. It's one of the big reasons people don't ride it. Vans on tires, however, have the option of keeping going once they get to the station. Employers could sponsor vehicles that arrive at the station and keep driving to their office tower. Vans could also continue to BART or more directly to underground Muni, long before the planned subway is ready. Likewise on the peninsula, vans and buses would travel from stations to corporate HQ. Google, Yahoo, Apple and many other companies already run transit fleets to bring employees in -- you can bet that given the option they would gladly have those vans drive the old rail line at express speeds. On day one, they could have a driver who only drives the section back and forth between the station and the corporate office. In the not too distant future, the van or bus would of course drive itself. It's not even out of the question that one of the passengers in a van, after having taken a special driving test, could drive that last mile, though you may need to assure somebody drives it back. Over time, there is also the option in some places to build special crossings. Because the vans and cars would all be not very high, much less expensive underpasses could be created under some of the roads for use only by the smaller vehicles. Larger vehicles would still need to bunch themselves together to leave gaps for the cross-traffic. One could also create overpasses rated only for lightweight vehicles at much lower cost, though those would still need to be high enough for trucks to go underneath. In addition, while cars can handle much, much steeper grades than trains, it could get disconcerting to handle too much up and down at 100mph. And yes, in time, they would go 100mph or even faster. And in time, some would even draft one another to both increase capacity and save energy -- creating virtual trains where there used to be physical ones. This robotic transit line would be much better than the train. But it would also be obsolete in just a couple of decades! As the rest of the world moves to more robocars, the transit line would switch to being just another path for the robocars. It would be superior, because it would allow only robocars and never have traffic congestion. You would have to pay extra to use it at rush hour, but many vehicles would, and large vehicles would get preference. The stations would largely vanish as all vehicles are able to go door to door. Most of the infrastructure would get re-used after the transit line shuts down. It might seem crazy to build such a system if it will be obsolete in a short time, but it's even crazier to spend billions on shoring up 19th century train. What about the first law? I've often said the first law of robocars is you don't change the infrastructure. In particular, I am in general against ideas like this which create special roads just for robocars, because it's essential that we not imagine robocars are only good on special roads. It's only when huge amounts of money are already earmarked for infrastructure that this makes sense. Now we are well on the way to making general robocars good for ordinary streets. As such, special cars only for the former rail line run less risk of making people believe that robocars are only safe on dedicated paths. In fact, the funded development would almost surely lead to vehicles that work off the path as well, and allow high volume manufacturing of robotic transit vehicles for the future. The service level would be vastly better. Wait times of mere minutes. Non-stop service. Higher speeds. The main downside is risk. This doesn't exist yet. If you pave the road to retain the rails embedded in them, you would not need to shut down the rail line at first. In fact, you could keep it running as long as there were places that the vans could drive around trains that are slowing or stopping in the stations. Otherwise you do need to switch one day. About 10 years ago, I asked my IT colleagues why we didn't make it possible for buses and trains to share railway corridoors, in order to get low cost busways in some locations. At the time a google search didn't find any hint that anyone else had thought seriously about ways to get higher throughput on these corriidoors by whatever mechanism. Robo-buses even at the time seemed like a good idea to cope with havng to drive a narrow coridoor at 100 kmh with tracks (admittedly flush with the road) in the middle. Regardless of whether the coridoor is shared or specifically for robo vehicles, the right size would be different for such a coridoor than an ordinary road. The reason being that assuming the onramps and offramps are sufficient, the greater throughput of a robo vehicle only coriddor should attract extra load, leading to higher load factor. Incidentally sharing existing rail coridoors means you would not have to backtrack quite so far on the principal of not builing special infrastructure. It is actually even more possible for self-driving vehicles to share with rail, because -- especially if you do have special infrastructure -- they can do what we call "driving on rails" -- very accurately placing the tires. You could make "rails" of concrete next to the rails of steel. Of course it is already possible to embed rails in pavement with a small bump for cars driving over them, but my presumption has been that this is much more expensive than just plain paving. I would hope to see figures on that. Yes, it seems a waste to tear up the metal rails, and worse, it means shutting down the line until you can replace it, but it may be a lot more expensive to pave (at night) a mixed road. And yes, the robo vehicles could also be set to have a wider gap from the rails. They would only depart their path at planned locations. Unlike cars which need to be able to pass anywhere on the road, these vehicles would never pass (absent a stall) but would pull off when approaching stations that they will stop on. You could have full pavement only where they are going to pull off. This is riskier, though. Any accident, any skidding, and you are in worse trouble than if you just have a strip of bare pavement or tightly integrated rail. I read an article on wireless road charging that could be suited for the type of corridor you are proposing. The big problem of how to manage payments for the service would be easier with only one network owner of the vehicles. It would certainly make for a visually simpler and cleaner system than trying to charge through rails or wires. It may be possible to further reduce some costs by installing the recharge system on the electrical supply end of the 51 mile length. It would also be interesting to know what minimum recharging length would be needed to cover the remainder of the corridor, it may only be a few miles depending on what transfer rates could be achieved? It makes the road much more expensive to build, and much more expensive to maintain. A lot more. On a specialized road, you don't really need this, so why pay more for it? Whatever tech you choose now has to be in all the vehicles. But it seems likely the wireless charging tech of 2017 will be obsoleted by something else before long -- and you won't be able to change, having invested too much in the old tech. Admittedly there are issues with overhead wires or side wires too. But their cost is mostly in the vehicle and vehicles keep improving. An interesting option here is the existing rails if you keep them. In the past, we have never even imagined you could make high voltage rails on the ground, with no grade separation, safely. Today, I think we could, with a combination of ground fault detectors and detectors which only charge each segment of rail when a digital lock is confirmed with the vehicle connecting to it. Key to this is the idea of hybrid battery/rail power. With batteries on board, you don't require constant connection to the rail or wire. You just use it when it's available. You also don't need the rail to provide the high power capacity for going from 0 to 30mph. You need to provide the lower power to coast, plus recharging to restore batteries for the gaps in the power rail. I did a rough estimate of capacity and it looks like, near term, self driving cars have trouble getting there. If you've got 10,000 passengers per hour at peak times on existing trains and you want to grow that substantially you can't do it in a single lane with single or low occupancy vehicles at reasonable average speeds. Going to multiple lanes might require narrow vehicles and could limit sharing the ROW with a train since spacing gets complicated. Going to higher occupancy vehicles also helps, but you probably have to get over 2 people per vehicle which would require some kind of physical coordination amongst the passengers, which is hard to do at scale in a busy station, or have the vehicle make multiple stops at each end of it's journey, which slows the ride for each passenger and requires vehicles to do more local driving at each end. There's also the issue of vehicle cost. You need tens of thousands of vehicles just to replace existing service that itself is a substantial capital outlay. $1B starts to look cheap. I was surprised to find that the peak capacity of a rail line was so high compared to a traffic lane. To really compete with self driving vehicles you have to go well beyond just having a regular car with improved driving capability. Having cars travel at high speed with very little separation between vehicles on a ROW which is not very well access limited is going to be hard to do safely. There are physical limits to maneuverability. Caltrain could easily triple it's capacity on existing infrastructure just by adding trains. To do the same with low occupancy vehicles requires a lot of new capabilities to come together and work well. I certainly think it's doable in time, but proposing to replace Caltrain with something like that in a predictable time horizon is a tough sell. While Caltrain does not quite do 10K per hour, I don't believe I suggested you would get that with solo vehicles. With solo vehicles that are half width and a headway of only one second you could pull off 7,200 per hour but that's extreme and not where I was going. To replace a train the line would carry mostly bus and van sized vehicles, and perhaps a few car-sized (4 to 9 passengers.) If they are based on existing cars, they would only carry 4 or 6 in 3-row configuration since those cars are not that comfortable with 3 abreast. However, slightly wider (minivan) with 3 rows can do 9 fairly easily. Buses with no drivers can get very high, especially if you want to try articulating buses. Double decker can also do more, but I actually would prefer to keep height low in these plans. My goal is for everybody to be seated -- trains get a lot of their extra capacity because people accept standing, which is also less safe. Anyway, if you want to carry 12k pax in an hour and have 40 buses you can fill, you need those 40 buses ($500K each) at $20M and about 2,500 vans (say at $50K each) -- about $150M in vehicles. Or double the cost of the vans to $100K and you are at $270M in vehicles. We can double the cost twice more and still stay in budget, presuming that paving the track and adapting stations does not cost too many hundreds of millions. Plain paving of already graded path with all the bridges etc. already in place is going to be under $100M. Station reconfiguration is the harder part to estimate. Another interesting idea I just had makes use of sections where the path is wide enough for an extra lane (or two.) In those sections, vehicles could re-arrange themselves so that the vehicles which plan to stop at the next station move themselves to the back of the pack. Then, when the station arrives, they can slow down on the mainline without impeding the pack and pull off into their transfer slot to exchange pax. It could even be possible -- don't freak out -- for vehicles to arrange themselves to the back of the pack during gaps in the oncoming flow. Now Caltrain has 40 at-grade crossings, though they come in bunches. Problematic are about 6 stations that have at-grade crossings very close to them. The area south of the San Mateo station is particularly problematic. Burlingame is also trouble but has parking lots around the tracks allowing for easy widening. Atherton station is barely used. Mountain View is a major station, but there are a few possible solutions. A few other stations to present challenges, so I don't has yet have a way to estimate the cost for them. The uses of buses actually creates a few extra problems as they need more room to pull off and get back on -- the shorter vehicles can do diagonal parking or could even be bidirectional if electric. Another challenge is how passengers cross the tracks at stations that don't have a tunnel or bridge. As long as there are gaps between convoys they can do it then, and if somebody crosses when the crossing is not green it could cause the platoon to slow or stop -- possibly with a photo of the crosser and a huge fine, but nobody would get hit. Non-ADA tunnels and bridges could be built if you offer small wheelchair-friendly vehicles to the disabled on demand, which could pick a person up on the other platform. An unanswered question is how hard it is to time the platoons in both directions so the gaps intersect as needed to get traffic through. I am hopeful that because the anti-commute direction has much less traffic, that this can be done. It would make things worse for people using the at-grade crossings, who today only have to deal with a train every 10 to 30 minutes. Of course if you cut the headways way down (Pelton does trucks with 40 foot gaps) you could make them much more compact. One advantage not mentioned here (I think) is that if you are only using robotic vans/buses and no trains then there is no requirement for them to return via the same corridor. At rush hour vans could travel back to the suburbs via ordinary suburban routes going against the flow. Even if the line has double tracking, simply make both lines the same direction during rush hour. My first design was presuming people were not ready for unmanned vans on the highways, but since I think that is coming soon, this could indeed be done. Or, if not ready for truly unmanned, platoons of vehicles could be driven with a lead vehicle with a human driver, though platoons have their own safety issues. But traffic at rush hour is hardly one way, especially here. So in fact these vans on the highways would need to carry passengers. This does solve one of the sticky problems though, which is timing the gaps in both directions to provide a suitable gap for cross traffic at the at-grade crossings. If both lanes go the same way, there is no need to synchronize. The other option is, as noted, an overpass or underpass for light robotic vehicles only. Larger vehicles, and of course trains still on the rails, would use the at-grade crossing, but the vans and cars would use the underpass (which would only need to be 7' high for a van) or a low cost overpass which might be much cheaper to build if it only carries these specific vehicles. The main problem is the slope must be gentle to not bother pax at high speed. Your proposal is great, but isn't the track line still used by freight as well? I hear a loooong freight train roll through Sunnyvale around 12:30am. The problem I guess is that any night service would run into freight trains on the track, and then need a way to get around them. And the trains would freak out a bit.